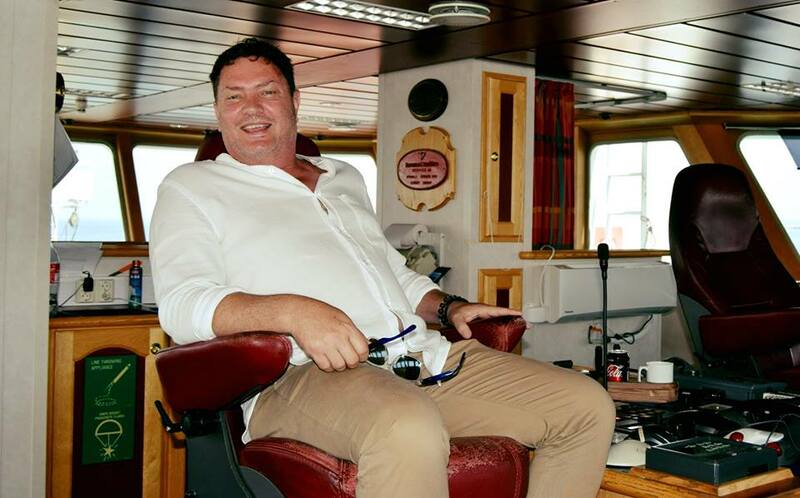 Pictured: Managing Director of African Selection Fishing Namibia in the master’s seat of a new fishing vessel acquired from Norway to assist with horse mackerel catches that will be processed in the new Seaflower Pelagic Processing mega fish factory in Walvis Bay. The vertically integrated approach of Seaflower Pelagic Processing (Pty) Ltd. to the way fish will be caught processed and sold is set to dramatically change the industry landscape as well as the way in which business is conducted with this precious Namibian resource. The fact that all the possible boxes were ticked with regards to the newly implemented rules and regulations of the Ministry of Fisheries and Marine Resources that will henceforth govern the entire Namibian fishing industry meant that the company received about one seventh of the total allowable catch of the entire horse mackerel quota of 349 000 tonnes for the fishing season that officially opened on the first day of January 2019. The Ministry of Fisheries and Marine Resources guaranteed the company 50 00 tonnes of the pelagic fish species for the next 15 years in a notice published in the Government Gazette of 15 May 2017. According to Adolf Burger, Managing Director of the African Selection Fishing Namibia company who holds a 60 percent share in Seaflower Pelagic Processing, the new factory is currently the largest frozen pelagic fish processing plant in Sub-Saharan Africa and will make use of several new technological and environmentally friendly innovations never before seen on Namibian shores when catches are processed. Burger said because every part of the fish processing will be done on land in the processing facility that covers 14 000 square metres under its roof all parts of the catch will be utilised to minimise wastage. He said the fish cutlets, heads and broken fish that are not fit for packaging and freezing will be used to make fish oil and fish meal in a modern plant that designed to emit minimal smoke, odour and steam. The smaller fish and cutlets will be canned in the ultra modern cannery and several new ways to present the canned fish to the consumer is already in development. 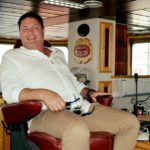 Seaflower also purchased the majority share in two modern fishing vessels from Norway at a cost of about N$236 million. The vessels are scheduled to be flagged in Namibia which will add to the production of fish in the new facility because several current and prospective right and quota holders have already approached the company to form joint ventures in landing, processing and even marketing and selling catches. Seaflower Pelagic Processing (Pty) Ltd. Consists of a 40 percent shareholding by the National Fishing Corporation of Namibia (Fishcor) and African Selection Fishing Namibia holds 60 percent of the shares. African selection Fishing Namibia has 95 percent Namibian shareholding. Most of the company’s foreign shareholding is vested in the two new fishing vessels. According to Burger the new mega fish factory was planned and constructed within its allotted budget and represents a direct investment of N$530 million in the industry and the Namibian Economy.